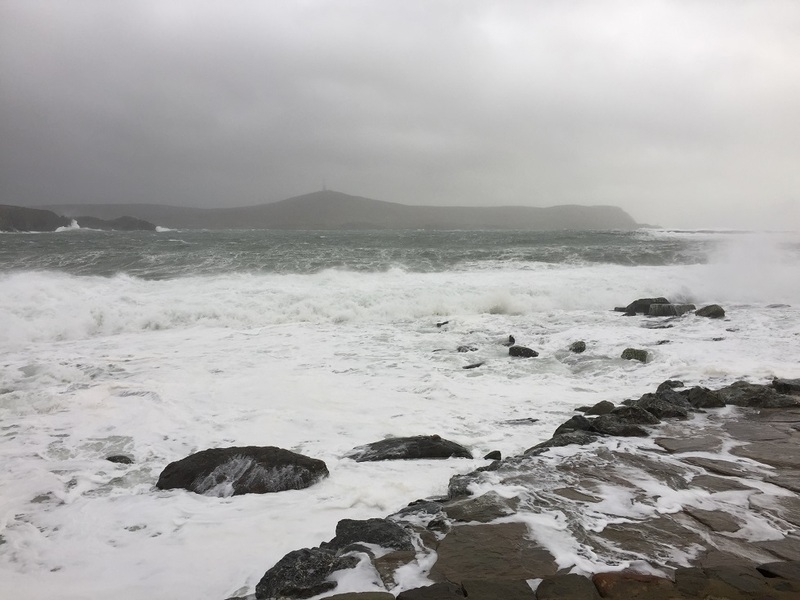 Currently on a surgery job for NHS Scotland on the Shetlandislands, the islandgroup is enclosed in a deep low pressure with stormwinds gusting up to 60 knots. Ferries,flights,and helicopters are stuck on the ground meaning all emergencies have to be handled by medical staff on the island since no transfers are possible to Edinburgh/Aberdeen on the Scottish mainland. 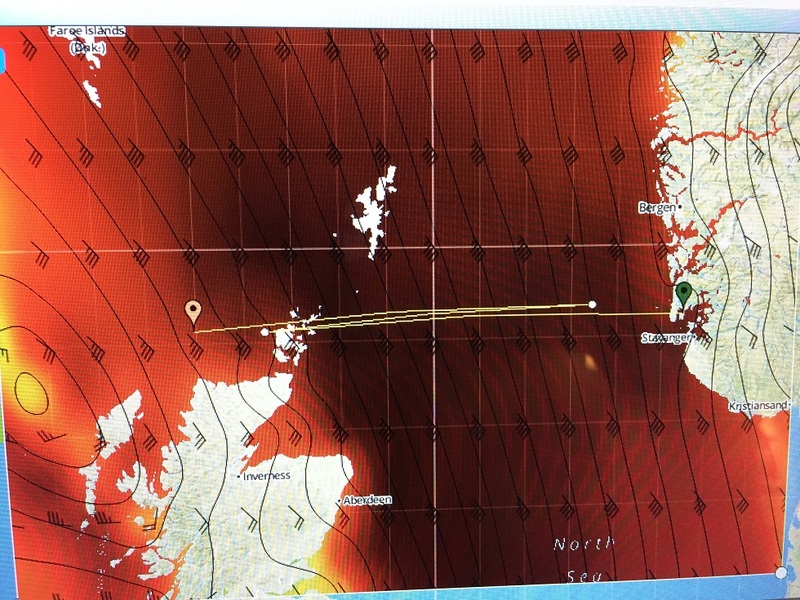 The gribfile below from the current situation on the North Sea is not a gribfile I would like to download being out at sea with Dora Mac. I have experienced 2 survival storms at sea during my cruising career. The first was a force 10 while on passage between Bermuda and the Acores heading home to Europe from the Caribbean May 1981. With no experience from survival storms we tried to heave to with a storm jib but after knock down we changed tactics and sailed downwind on the bare rigging with ropes and fenders from the stern to reduce speed.We managed and reached the Acores with a broken windvane,2 broken stays,and a storm jib ripped to pieces. The next time was May 2000. I was heading home from the U.K to Skagen in Denmark with our Frer´s 44 Tarita. We were then surprised by a force 9 from SW and used the same tactics of sailing bare rigging downwinds with long ropes from the stern (no drouges onboard) . Our problem this time was a boat often submerged under masses of water leaking through the chain aperture of the windlass into the bilge.The bilgepumps had to be engaged every hour to keep the bilge reasonably dry otherwise we managed to Skagen without any major damage. If i ever have to download a gribfile like the one below out at sea I would prefer to be on a sailboat. If being on Dora Mac I would launch our parachute anchor and heave to. If so, that will certainly be a new terrifying experience. The picture at the bottom is from my hotel.